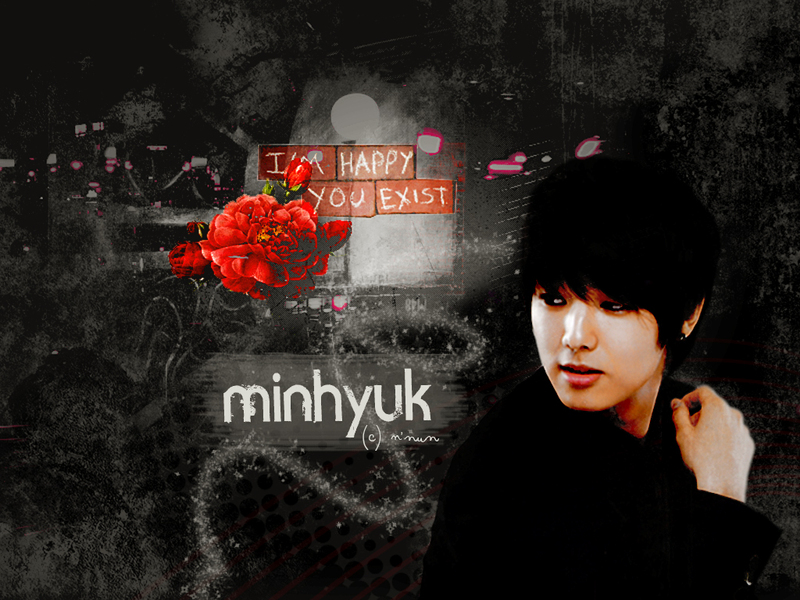 Min Hyuk 壁纸. . HD Wallpaper and background images in the Kang Min Hyuk club tagged: kang min hyuk cute hyuk min kang cn blue yeo joon hee joon hee. This Kang Min Hyuk wallpaper might contain 花束, 胸花, 波西, 香奈儿, 捧花, 铭文, 街道, 城市风貌, 城市环境, 城市场景, 城市设置, 标志, 海报, 文字, 黑板, and 文本.